1. What is whole-grain bread? The whole-grain bread is primarily (more than 50%) made of whole-grain flour. Therefore it is important to check if whole-grain flour is written first in the list of ingredients. Vita bread has been created to satisfy the daily needs of whole-grain foods – Vita Balance is made of no less than 60% whole-grain flour, whereas the Vita Silhouette and Vita Fitness bread varieties are made of 100% whole-grain flour. The grains have been created by nature to provide our bodies with the substances they need most. The different parts of the grain contain different vitamins, minerals and micronutrients, which work TOGETHER in harmony and provide our body with a balanced set of beneficial substances. This is why we make the Vita bread from special types of flour, ground in our own stone mills, where none of the beneficial ingredients of the grains is lost in the production process – we want to be sure that the bread has preserved the richness of the whole grain and provides it intact to you. The symbols for % of whole-grain flour. Read more. 2. How do you ensure the long shelf life of the bread “with no added preservatives”? In order to obtain naturally long shelf life “with no added preservatives”, we modernised the production technology, which allowed us to use wild starter cultures. The starter culture we use originates from clean starter cultures, which guarantees that the taste and flavour of the bread will always be the same. In addition to the use of wild starter cultures, which help preserve the properties of the bread for a longer period, we also guarantee the long shelf life by applying the highest hygiene standards and uncompromising control over our production. 3. What is the difference between the different varieties of the Vita bread? Balance – the 60% whole-grain Vita Balance bread varieties combine all the beneficial properties of the whole grain with great taste, soft texture and variety. Plus, the added super grains and seeds provide further benefits and taste, so that we can be not just healthy, but also happy. Read more. Silhouette – the 100% whole-grain diet Vita Silhouette bread varieties are a true ally in maintaining a beautiful and slim body in a simple and effective way and make healthy eating a true pleasure. Read more. Fitness – the 100% whole-grain Vita Fitness bread varieties contain specially selected seeds, grains and nuts rich in plant proteins, making the bread perfect for active, energetic and dynamic people. For those following a high-protein diet, this bread variety offers the opportunity to keep bread in their menu. Read more. 4. What type of flour is used for the Vita bread varieties? The whole-grain flour is made in our own stone mills without losing any of its beneficial ingredients and is then directly supplied to the bread production process. The Vita bread production cycle starts with the grain and ends with the bread. This is how we can guarantee that the bread contains authentic whole-grain flour with clear origin and strict quality control. The whole-grain flour used in the Vita bread varieties is made of specially selected varieties of wheat, rye and einkorn. Our wheat is grown at the most fertile land – Dobrudzha and North Bulgaria, while our rye is grown at the Sub-Balkan area – around Karlovo, Kazanlak and Veliko Tarnovo. We also import specially selected rye from Hungary and Ukraine. 5. What is meal and why is it included in the ingredients of Vita bread varieties? Meal constitutes crushed wheat or rye grains, where all the parts of the whole grain are preserved, in the same way as in whole-grain flour, however, the meal has a coarser and grainy structure. It gives Vita Silhouette and Vita Fitness. bread varieties their specific texture and taste. The coarser grainy structure of the meal makes the bread suitable for a healthy diet, because it takes longer to digest and satiates hunger better and for a longer period. 6. 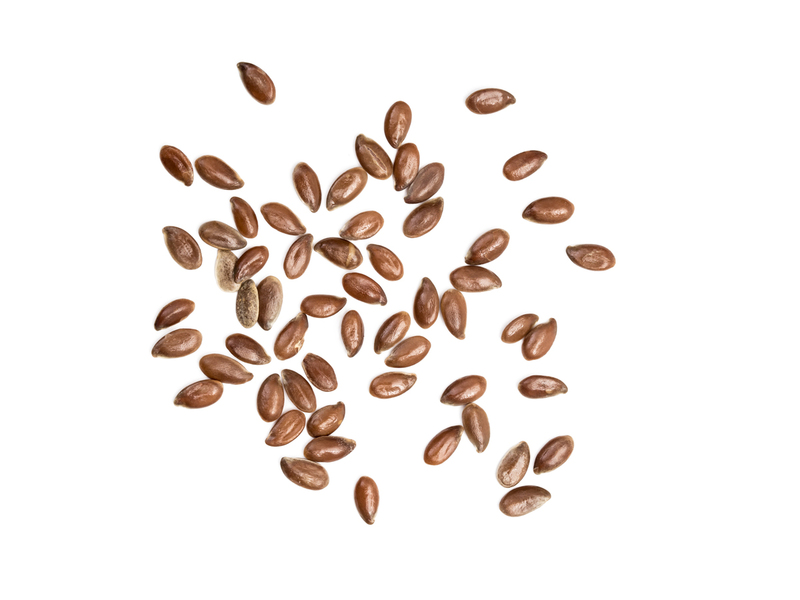 Why do we add super grains, seeds and nuts to our whole-grain Vita bread varieties? Vita bread varieties are based on wholegrain flour, which combines the benefits, energy and taste of the whole grain the way it has been created by nature, in perfect balance. We added to that our uncompromising attempt to use only the best natural and nutritious ingredients by combining super grains and seeds in the bread recipes. In this way, we obtained not just variety of the taste and texture of the bread, but we also added the specific health benefits of each particular grain, thus making Vita bread varieties not only delicious, but also exclusively healthy. The combinations of different super grains and seeds provide specific health benefits in each of the Vita bread varieties. Read more. 7. What are the allergens in Vita bread varieties? Gluten – a specific plant protein contained in cereal foods and grain products. It is found in almost all cereals, such as wheat, rye, einkorn, barley and oats, in varying proportions. For example, einkorn and rye have significantly lower gluten content compared to wheat. Gluten is the ingredient that makes the dough elastic. When you add water to the flour, the gluten becomes elastic and makes the mixture into soft and elastic dough. It is gluten that gives volume to the dough and makes bakery products fluffy. Gluten is not harmful in itself, however, there are certain people who suffer from food allergies, who have some milder form of gluten intolerance, as well as other people, who suffer from the heavy form of gluten intolerance – gluten enteropathy or celiac disease (an autoimmune disorder that causes damage to the digestive system after consumption of products containing gluten). About 1-2% of the population have this type of intolerance and the consumption of foods that naturally contain gluten or foods with added gluten is strictly contraindicated for them. The nuts and seeds used in the Vita products, which are allergens, include: soy, sesame seed, oats, poppy seeds and walnuts. All packages of Vita bread varieties are clearly and legibly marked with the ingredients that constitute allergens, with a warning text “May contain traces of…”, because different Vita products with different ingredients, part of which are allergens, are produced in our plant and production line (production processes). Therefore, our packages have a warning text stating that the products may contain traces of allergens that have remained from the production of a previous product with allergens. 8. What starters do we use for our Vita bread varieties? Starter = water + meal + starter cultures. The starter cultures initiate the fermentation process and when they are alive, the starter is live. Only live starter cultures are used for Vita bread varieties. The use of live starters in the production of our bread varieties resembles the process of making sourdough bread, however, in our case the type, purity and origin of the yeast (starter cultures) are controlled, as are the qualities of the bread. Using live starters in Vita bread varieties is the reason for their specific taste and flavour and for keeping the bread fresh for a longer period. Yeast – bread yeast contains yeast cultures which turn sugar and starch into bubbles of carbon dioxide and alcohol. Bread yeast creates numerous bubbles of this type, which are integrated into the dough and make it rise during baking. The small amount of alcohol produced as a result of this process evaporates during baking. The yeast as such disappears as a result of the cooking process. It breaks down into micronutrients and thus enriches the bread. 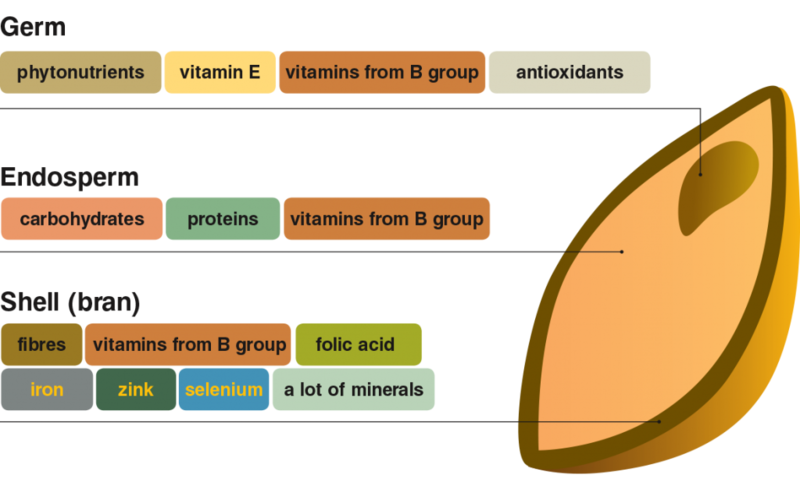 Bread yeast is rich in vitamins from the B group, such as B1, B6, B2, B12, as well as in micronutrients. Large amounts of phosphorous, potassium, magnesium, sodium, calcium and other salts are found in yeast. Adding yeast to Vita bread varieties is necessary in order to guarantee a continuous production process and the same quality of the bread. However, the quantity of yeast added is much smaller than the yeast added to bread produced with no starter. 9. Are Vita breads suitable for people suffering from diabetes? Yes. Vita bread varieties are suitable for people with metabolic disorders, because they are whole-grain. Whole-grain foods are a good source of soluble and insoluble fibres, which break down relatively slowly, which results in more gradual increase in the blood glucose level after eating over a longer period of time (with no sharp increases or declines). By contrast, refined foods rich in carbohydrates (such as white wheat flour, white bread) sharply increase the blood glucose level after eating (they have high glycemic index) and therefore these foods are not recommended by modern dietetics. The whole-grain Vita bread varieties are especially suited for people suffering from diabetes and people with metabolic problems, because whole-grain flour, especially rye flour, has a significantly lower glycemic index than refined flour. This is particularly true for the 100% whole-grain Vita Silhouette and Vita Fitness bread varieties. Bread varieties enriched with “super” grains, such as buckwheat and chia, are even more suitable, because they contain much less carbohydrates than cereals, while adding their specific health benefits at the same time. 10. Are our bread varieties suitable for vegans and vegetarians? Yes, Vita bread varieties are especially suited for vegetarians and vegans, because only plant-based ingredients are used in their production process. Another important factor is that Vita bread varieties are an excellent source of plant proteins, which provide the necessary protein balance to people who do not consume animal products. This is especially valid for the Vita Fitness bread varieties, where the content of plant protein is over 16%. Read more. 11. Are whole-grain Vita breads suitable for children? There is no doubt that the inclusion of whole-grain foods in the menu to replace products made from refined flour is more beneficial and healthy. In this regard, the WHO (World Health Organisation) recommends that the daily menu should include foods rich in fibres. The necessary quantity of whole-grain foods for the day varies based on the age, gender and the level of physical activity. Whole-grain foods are not recommended for children aged below 3 because of the immaturity of the gastro-intestinal tract. It is recommended to gradually include small quantities of whole-grain foods after the second year, one to two times per week, in combination with refined flours. Between the age of 3 to 7 it is recommended to include at least four servings of whole-grain foods per week. For children aged between 7 and 18, it is recommended to replace refined products with whole-grain foods at least three days a week. The Vita Balance product range is a good option for helping children get used to the rich taste of whole-grain bread without losing the pleasure of eating. These bread varieties are especially suitable, because they combine the benefits of whole-grain foods, further developed by the added “super” grains and seeds, with the soft and pleasant texture of bread. How to make whole-grain eating attractive for children? Read more. 12. What is the origin of the proteins in the high-protein Vita Fitness bread varieties? The 100% whole-grain Vita Fitness bread varieties contain specially selected seeds, grains and nuts rich in plant proteins, making the bread perfect for active, energetic and dynamic people. The proteins in Vita Fitness bread varieties are 100% plant-based (whole-grain wheat and rye flour, hemp seeds, soy, peas, walnuts, sunflower seeds, oats, pumpkin seeds and linseed). This makes them very suitable for consumption by vegans and vegetarians, because they provide the necessary proteins without the need to consume animal products. 13. Will I lose weight if I eat the dietary Vita bread varieties? Losing weight and keeping in good shape is the result of complex efforts, which include both a healthy diet and the relevant physical activity for maintaining the body healthy, strong and energetic. The carbohydrates in the whole-grain Vita bread varieties are digested slowly and create a sense of fullness for longer periods. The presence of a large amount of fibres (both soluble and insoluble) in whole-grain flour creates a sense of fullness, while at the same time improving the functioning of the gastro-intestinal tract. One slice of whole-grain bread (about 35 grams) supplies about 70 kcal, whereas the same quantity of white bread supplies 83 kcal. The guideline daily amount for women with low physical activity aged between 19 and 60 is 2000 kcal on average. 4 slices of whole-grain bread per day supply about 300 kcal. The remaining 1700 kcal necessary for the day can be supplied by consuming the other groups of foods in sufficient quantities in order to ensure a varied and nutritious diet. The 100% whole-grain diet Vita Silhouette and Vita Fitness bread varieties are a true ally in the fight for maintaining a healthy weight and beautiful silhouette, because they make it simple and effective and make healthy eating a true pleasure. In addition to being whole-grain, the Vita Fitness bread varieties are rich in proteins, which provides the possibility for people keeping a high-protein diet to include bread in their menu again. You have questions that we haven’t answered?